Last year, we hoped that the release of Lynne Stewart on New Year’s Day would usher in a year of political prisoner releases. It did. 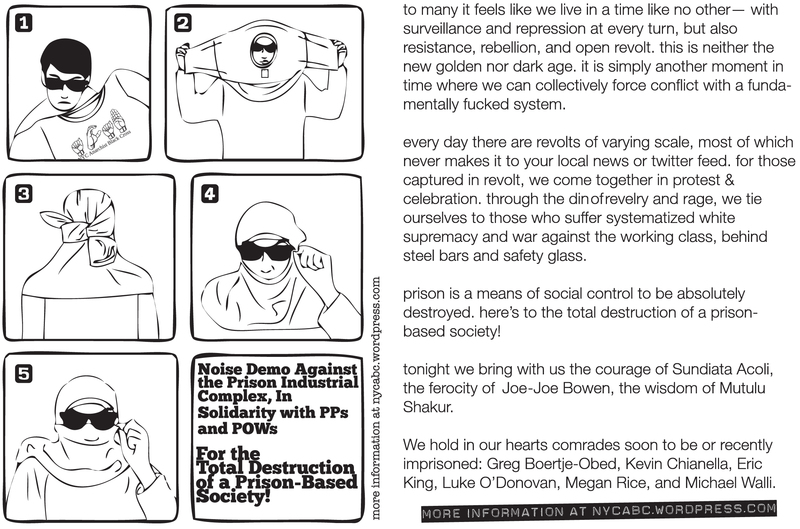 We welcomed 20 of the prisoners in our Illustrated Guide to Political Prisoners and Prisoners of War back to the world and, on the eve of 2015, also welcomed Lynne as she joined us at our annual New Year’s Eve noise demo. The night was cold, but not exceptionally so. Regardless, hot cocoa supplied by comrades from Stop the Anarchist Witch-hunt (SAW) kept revelers from freezing as the crowd grew larger. Noise being the operative term, we had a complete miss-mash of sound as radical marching band Rude Mechanical Orchestra competed with a mobile sound system and a host of air horns, whistles, and vuvuzelas. For those unfamiliar, the Metropolitan Correctional Center (MCC New York) is a brick and steel monolith in one of the small corners of Manhattan not filled with residential buildings. As we arrived, there were very few cops or federal prison guards. Once our numbers swelled to over 100, that changed. 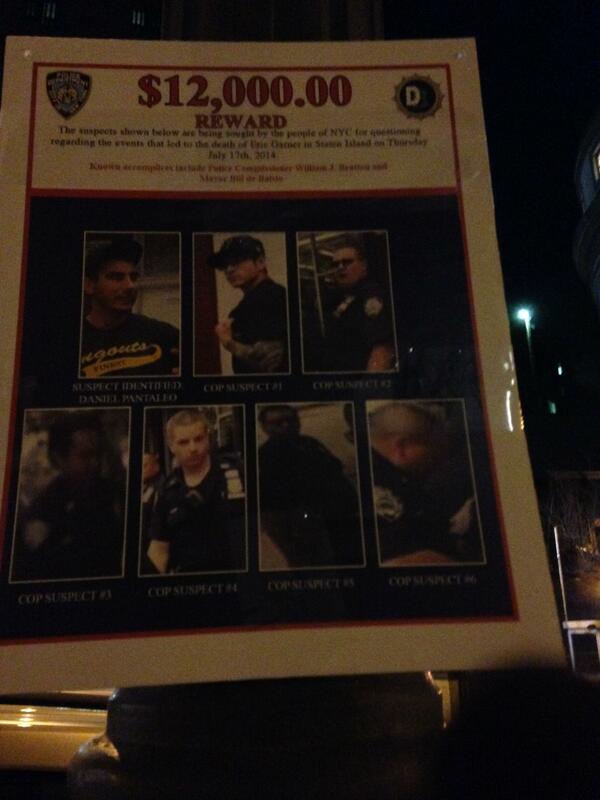 They kept their distance, perhaps as part of the alleged NYPD union work slowdown, but it was clear that they were prepared to bust skulls if given the chance. Later that night, cops unleashed their pent up feelings of inadequacy on an impromptu in-the-streets dance party not far from where the noise demo ended. The mood was festive and celebratory, but it was clear that the crowd, eventually peaking at around 150 noisy rabble rousers, was also full of rage as evidenced by the signs and banners, including a wanted sign for cops involved in the murder of Eric Garner. Tonight we bring with us the courage of Sundiata Acoli, the ferocity of Joe-Joe Bowen, the wisdom of Mutulu Shakur. 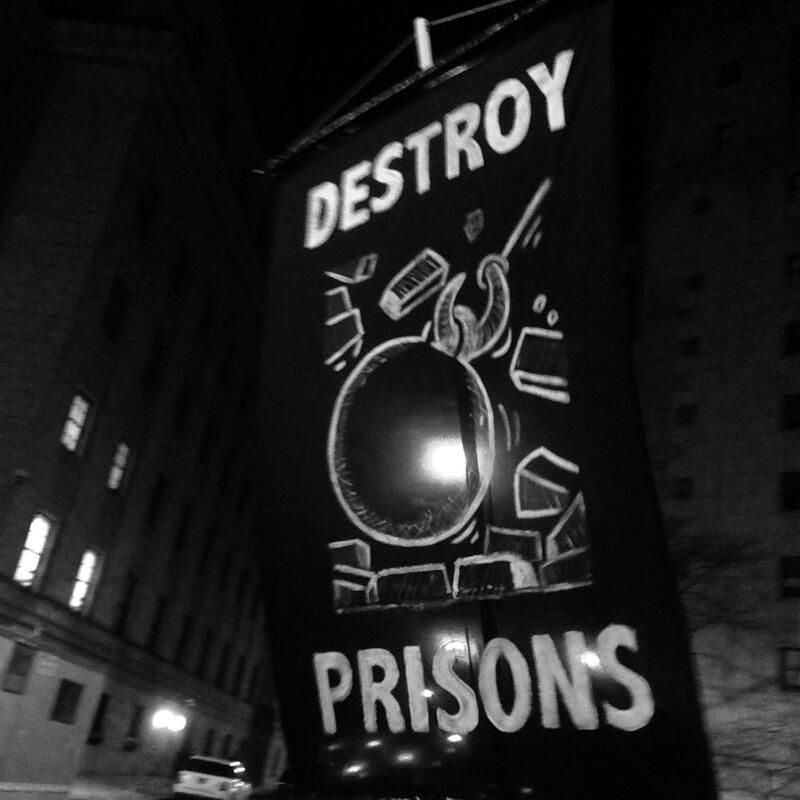 We hold in our hearts comrades soon to be or recently imprisoned: Greg Boertje-Obed, Kevin Chianella, Eric King, Luke O’Donovan, Megan Rice, and Michael Walli.